Financial Times published a special report “New Europe 100 – changemakers in Central and Eastern Europe”. The list was compiled together with Google, Res Publica, journal in Warsaw, and Bratislava-based international organization Visegrad Fund. The challengers were split in 4 categories, including Society and Politics, Business, Media and Culture, and Science. Without a purpose to reiterate the ranking, we decided to see which entrepreneurs from the list had previously appeared on GoalEurope, whether in a dedicated post or in the overview of CEE startup ecosystems. Eugene Nevgen – founder of MSQRD photo filter startup that was bought by Facebook. A few days ago Google featured MSQRD in TOP 5 apps on Android in 2016. Kiryll Chykeyuk and Art Stavenka – co-founders of Kino-mo, a startup that brings the outdoor ads technology to the whole new level with their holodisplays. They won Richard Branson’s competition Pitch To Rich. Read the interview on GoalEurope. Atonas Kiryakov, founder and CEO of Ontotext, a provider of semantic databases and content analytics to large media companies. The startup was mentioned in our overview of Bulgarian startup ecosystem. Vaclav Muchna – co-founder of Y Soft, a print management solution for business. Y Soft acquired Australian firm Equitrac Systems in 2013. Oliver Dlouhy – co-founder and CEO of Skypicker, an online travel booking agent with the most extensive database of low-cost flights around the world. Mate Rimac – founder and CEO of Rimac Automobili, a Croatian electrocar manufacturer. The startup was mentioned in our monthly recap when they announced the fastest electrocar in the world. Zsolt Robotka – founder of SignAll, a sign language interpreter. SignAll got seed investment of 1.5M EUR, which was reflected in our monthly startup news recap. Tamas Haidegger – CEO of HandInScan, which makes devices to control hand hygiene performance of medical staff. Read our GE exclusive interview. With HandInScan doctors can visualize see if their hands are clean or not. Daumantas Dvilinskas – co-founder of TransferGo, an online money transfer service which became a Unicorn in June. TransferGo got $2.5M in a seed round and announced a $3.4M Series A round. Martynas Gudonavicius – CEO and co-founder of TRAFI, a transportation app that helps urban commuters plan their journeys. Trafi promoted itself in Russia, partnered with Uber and became the official transportation app of the Olympics in Rio. Vaidas Adomauskas – CEO and co-founder of WoraPay, a platform that allows customers in stores to pay using their mobile phone. Worapay was among “startups to watch” in our report on the Lithuanian startup ecosystem. Vytenis Buzas – founder of NanoAvionics, an aerospace technologies company providing small satellite solutions and services. Nanoavionics got also to GoalEurope’s list of promising Lithuanian startups. Lauris Liberts, Agris Tamanis – creators of Draugiem, the largest social networking website in Latvia with 2.6m registered users. Mariusz Cieply – CEO and founder of LiveChat, a developer of communication software for business. Mateusz Mach – creator of Five, a messenger for deaf people, secured $150,000 as stated in one of our news digests. 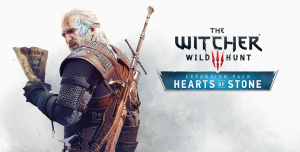 Marcin Iwinski, Michał Kicinski – co-founders of a CD Projekt, the video game developer best known for The Witcher series, which became a Unicorn a few months ago. Andrei Dunca – CTO and co-founder of LiveRail, which connects marketers to publishers on the web and on mobile. Facebook bought the company in 2014. The company was mentioned in GoalEurope’s overview of the Romanian startup ecosystem. Raul Popa – co-founder, chief executive and data scientist at TypingDNA, a biometrics company that verifies users’ identity based on their typing patterns. The company announced a seed round lead by Gecad Ventures. Branko Milutinovic – co-founder and chief executive of Nordeus, a social and mobile gaming company. Simon Sicko, co-founder and executive director of Pixel Federation, an independent game publisher and developer focusing on Facebook games. Victor Shaburov, founder and CEO of Looksery, a facial recognition company acquired by Snapchat for $150m. Yaroslav Azhnyuk, co-founder and chief executive at Petcube, a technology company dedicated to improving the lives of pets. 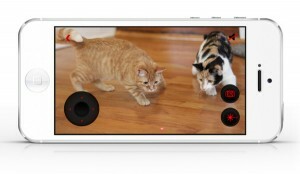 When Petcube launched a Kickstarter campaign they reached raised the goal of $100,000 in less than a week.